Lot 5 & 10, Lorong Gambut, Off Jalan Beserah, 25300 Kuantan, Pahang Darul Makmur. 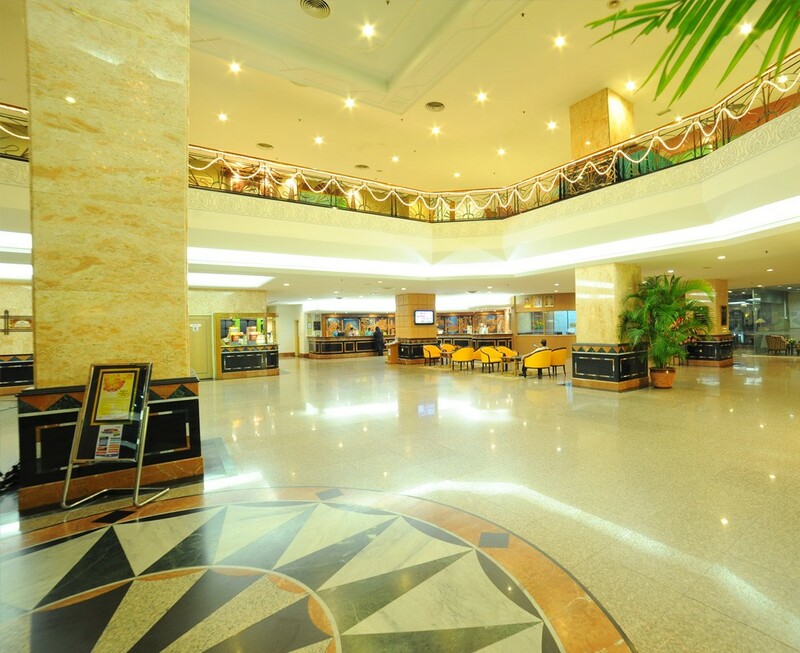 Situated about 15 km southwest of the Kuantan city, the Kuantan Airport (KUA) is small but busy, seeing over 250,000 passengers a year. It is officially known as the Sultan Ahmad Shah Airport, after the current Sultan of Pahang. 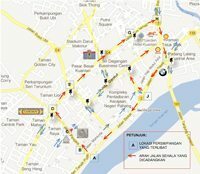 From the East Coast Expressway, drive through Indera Mahkota township along Jalan Bukit Ubi. Turn left at the traffic light after passing the Stadium Makmur and the wet market. About 500m, the Berjaya Megamall is just right beside the M.S. 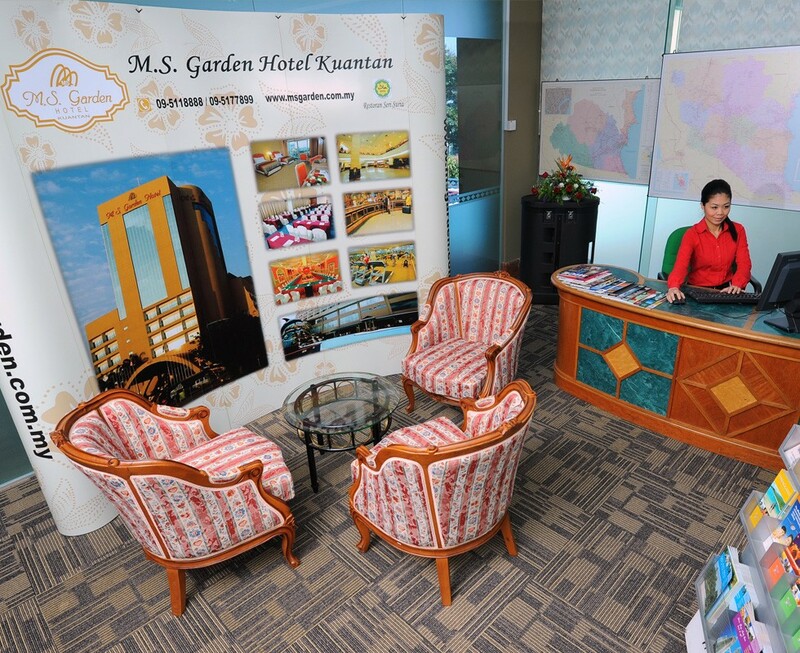 Garden Hotel. Taxi services are also available from the southern most city of Johor Bahru, Kuala Lumpur and all major towns for slightly more fare. New long-distance bus terminal in Indera Mahkota, Kuantan. The bus terminal replace the Makmur Terminal which was located in Kuantan’s city center next to the Dural Makmur stadium. The spacious TSK bus terminal was opened in August 2013 which 40 bays for express buses, 365 car park spaces and 176 for motorcycles. it is the largest public transportation terminal along the East Coast of Peninsula Malaysia. The Terminal is located about 7km west of the city center. 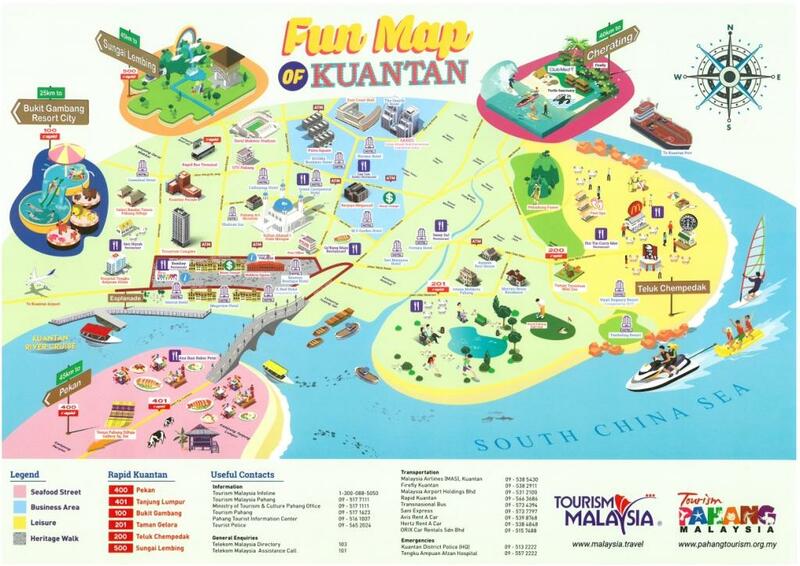 You can take a taxi or Rapid Kuantan bus. Besides Kuantan, Temerloh and Cherating are 2 other famous destinations for traveler from Singapore to Pahang. Travel Time: 4 – 5 hours depending on the traffic condition.